The fine quality of a stitched Moleskine cahier journal (5 x 8.25″), with the personalized touch of a hand-painting and lettered quote. This journal contains blank pages, with 16 detachable sheets in the back of the book. Hand-painted in an original design by Lisa of CreativLEI. 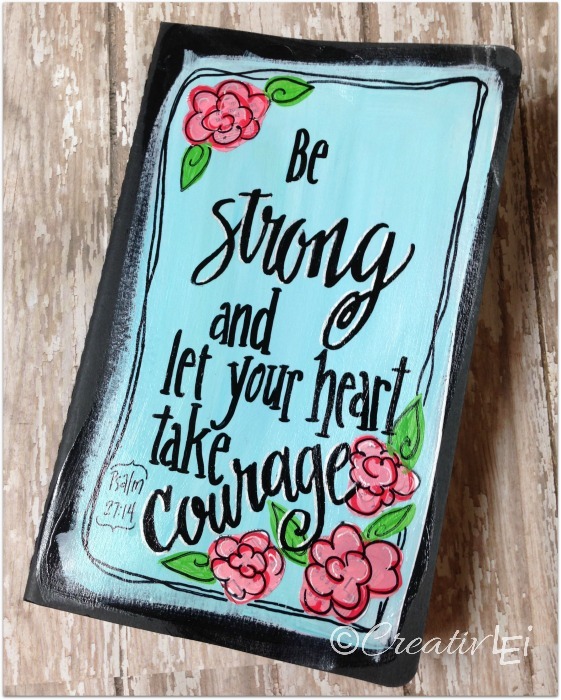 Hand-lettered with a verse from the book of Psalms.